We looked for six projects, created and run by young people, that would make a positive difference to life in Wotton-under-Edge. To find these projects, we started off by holding a consultation with as many 11-21 year olds in and around the town as we could. We wanted to know what they thought. What worked and what didn’t? What did they care about and what did they want to make happen? Next, we asked young people to get in touch to tell us about their ideas and why they mattered. How could they make a difference? What help would they need? How could we work together to bring their ideas to life? We collected up all the ideas and put them to a public vote on Facebook. Local young people got to decide which six projects get chosen. The young people running the six chosen projects were offered six months of mentoring, practical support, professional contacts and help in accessing funding to get their ideas off the ground. 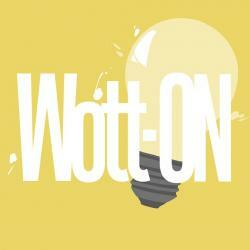 To find out more, visit the Wott-ON website here.